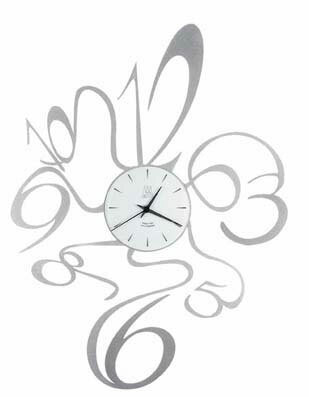 The usual everyday clock highlights 6 and 12 but you aspire to something different! This clock will delight with the 5 and 11 standing out and away from the clock face in bold Roman numerals. 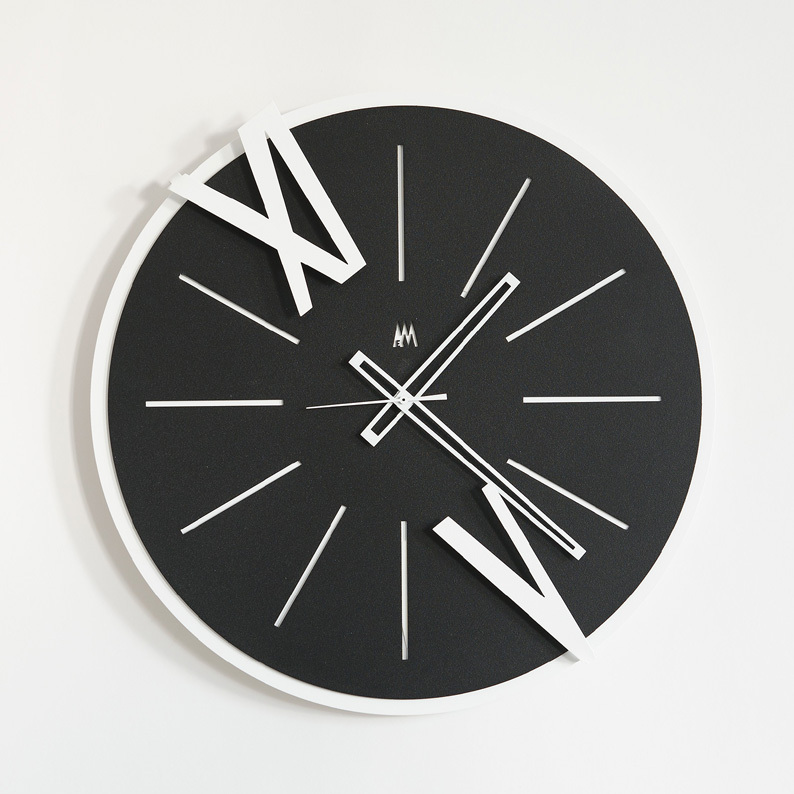 A modern black face with white markers indicate the remaining hours and the hands feature a neat open-cut design. Hang above your work desk, it is sure to uplift your mood on a busy day! Size 43cm diameter.